SIZING Size 4 is for kids between 42-46" tall. Size 5 is is for kids between 47-49" tall Size 6 is for kids between 50-52" tall Size 8 is good for kids between 53-55" tall Size 10 is good for kids between 56-59" tall ARE YOU READY TO HAVE FUN WITH A PLUSH, SOFT AND COMFORTABLE KIDS BUNNY ONESIE BY EMOLLY FASHION? THE EMOLLY FASHION MONEY BACK GUARANTEE At Emolly we only want satisfied happy customers. We strive to use the highest quality materials in all of our onesies. That's why if you're not completely satisfied for any reason, at any time, simply contact us to request a refund or exchange to one of our other animal onesies. WARM AND COZY Our onesies are made of polar fleece material that makes them breathable and comfortable to wear. Your child WON'T be itching or waiting for the moment he or she can finally take the onesie off. Your child will be warm, comfortable and cozy and can wear the onesie as pajamas or as a costume. 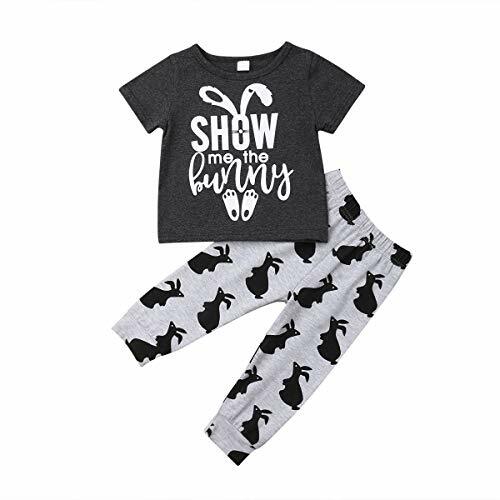 THE BEST KIDS BUNNY ONESIE BY EMOLLY FASHION Buy with confidence in our money back guarantee and enjoy the benefits of lounging around in the most adorable fun onesie yet! Enjoy this men's soft and fluffy fleece hooded union suit featuring the pink bunny suit from "A Christmas Story". Full front zip for easy on and easy off. Great for chilly night. Irresistibly soft and cozy, these fleece pajama sets are designed for warmth, comfort, and style. They feature a contrasting satin trim on the jacket as well as two pockets on the pants. The soft fleece material makes them perfect for sleepwear or loungewear. General sizing guide corresponding to US dress size is: Small (0-2), Medium (4-6), Large (8-10), X-Large (12-14) 2X-Large (14-16), 3X-Large (16-18) 4X-Large (18-20). Made of 100% Polyester. Machine wash, tumble dry low. SIZINGSize Small is good for height 4'10 to 5'3. Size Medium is good for 5'3 to 5'6. Size Large is good for 5'6 to 5'9. 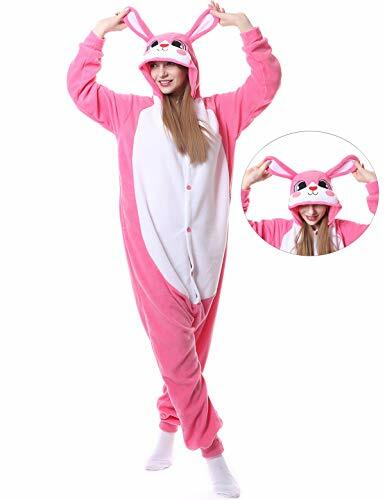 Size XL is good for 5'10 to 6'2.ARE YOU READY TO HAVE FUN WITH A PLUSH, SOFT AND COMFORTABLE BUNNY ONESIE BY EMOLLY FASHION?The Emolly Fashion Money Back GuaranteeAt Emolly we only want satisfied happy customers. We strive to use the highest quality materials in all of our onesies. That's why if you're not completely satisfied for any reason, at any time, simple contact us to request a refund or exchange to one of our other animal onesies.Warm and CozyOur onesies are made of polar fleece material that makes them breathable and comfortable to wear.You won't be itching or waiting for the moment you can finally take the onesie off. 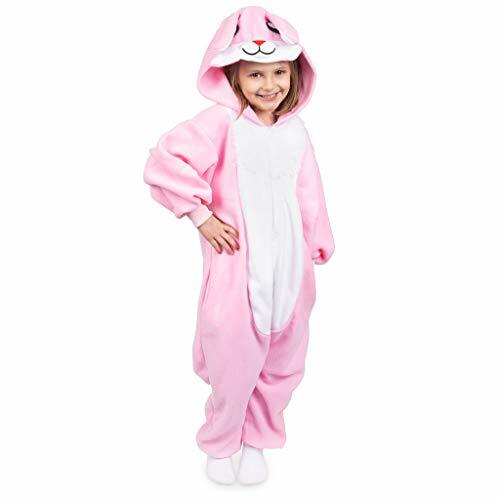 You will be warm, comfortable and cozy and can wear the onesie as pajamas or as a costume.The Best Bunny Onesie by Emolly FashionBuy with confidence in our money back guarantee and enjoy the benefits of lounging around in the most adorable fun onesie yet! These FLEECE hooded novelty one-piece pajamas have a front ZIPPER CLOSURE, rib knit cuffs, and CUTE animal ears on the hood. They also feature two front POCKETS perfect for carrying your phone or other small items. The soft FLEECE material makes them great for winter PAJAMAS or LOUNGEWEAR. Available in a VARIETY of COLORS and PATTERNS. Comes in sizes S/M (fits womens dress size 0-6), L/XL (fits womens dress size 8-14). Made of 100% Polyester. Machine wash, tumble dry low. Gotcha the Moluccan Cockatoo. Follow Gotcha on Instagram! : https://instagram.com/gotcha_the_cockatoo/ I bought cute and super soft bunny pajamas yesterday and Gotcha didn't like them! He never walks away from me like that. Lol When I took the hood off he knew it was really his momma. Thanks for watching! !